Extract the zip file and copy the to files into a folder in your visual studio solution. I have a folder called "Libraries" for third part dll files. 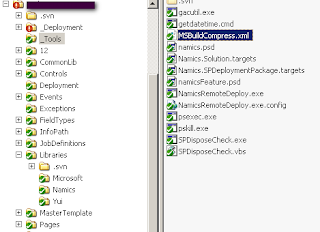 Create a file "MSBuildCompress.xml" in a folder you want. I put this file in my "_Tools" folder. 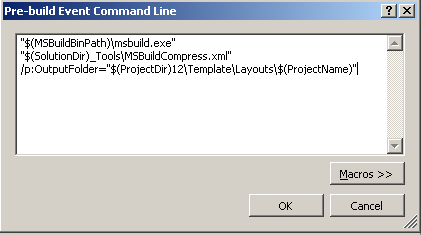 Put the following xml in your newly created xml file. 3. 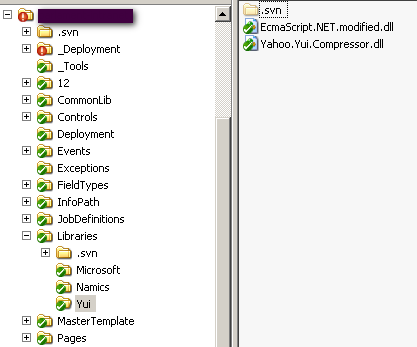 The ItemGroup defines the files which should be compressed by the YUI compressor. I exclude all the files which will be generated because all css files, compressed and uncompressed are in the same folder. You can change this if you want. 4. The CompressorTask does the compression. 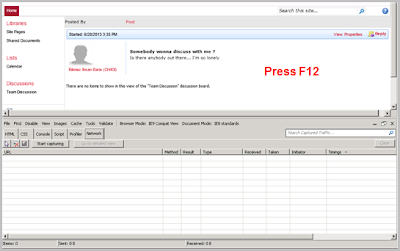 The files to compress and the the output files are given ase arguments. 5. The last step merges the css files and creates a main.debug.css which is not compressed. This is useful in debug enviroments, where the frontend developer want to examine the css with firebug to find the location of a style. 6.) Now put some css and js in to your css and js folder. 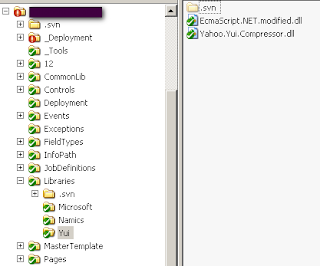 When you look at the ItemGroups XML Node you will see that my css and js are under the same folder, like in the image below. The parameter "OutputFolder" is used in the .xml file to define the folder where the css and js folders are. 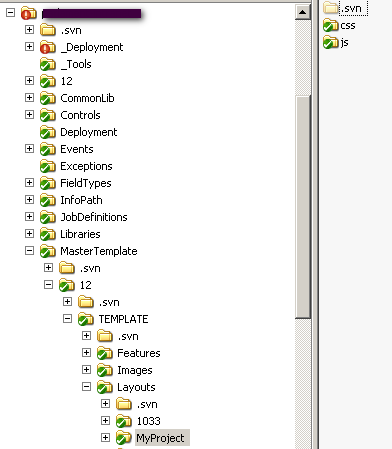 I have following structure in my project. If you have another stucture you have to adapt the xml file. If the command is successfull, you can copy it. 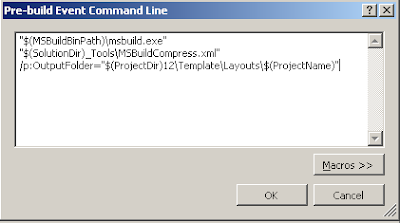 The next step is to put this command into visual studio.